A red pickup truck pulls away from the Downeast Correctional Facility in Machiasport, Feb. 17, 2017. A Maine judge has ruled that Gov. Paul LePage doesn't have the authority to close the Down East prison in an Wednesday injunction. AUGUSTA, Maine — A judge ruled Wednesday that Gov. Paul LePage doesn’t have the authority to shutter a minimum-security prison without obtaining legislative approval. Superior Court Justice Michaela Murphy on Wednesday granted a temporary injunction sought by Maine’s attorney general, unions and the Washington County Commission. Murphy concluded that only lawmakers, not the Maine Department of Corrections, have the authority to close the Downeast Correctional Facility. Questions to the governor’s office from the Bangor Daily News were not immediately answered. The governor’s administration removed inmates from the facility and issued layoff notices to staff on Feb. 9 even though the facility was funded by lawmakers through this summer amid an ongoing attempt to extend funding. On Feb. 14, the parties to the suit agreed that the executive branch would stop dismantling the prison and removing equipment until the pending legal case and deliberations over the matter in the Legislature were complete. A day later, a proposal to allocate $5.5 million to keep the prison open for another year initially passed in the House of Representatives. But on Thursday, it failed to win the the two-thirds majority needed in the House to thwart a LePage veto or enact the bill as an emergency measure. The bill faces further action in the Senate. In late February, LePage supported another related bill sponsored by Sen. Joyce Maker, R-Calais, which would establish a prison pre-release center in Washington County with money from a 2016 bond, which is also paying for a major expansion at the Maine Correctional Facility in Windham. LePage proposed repealing all references to the Downeast Correctional Facility from Maine law and allowing the executive branch to sell the Machiasport property. The bill is not yet written and under development in the Legislature’s Criminal Justice and Public Safety Committee. 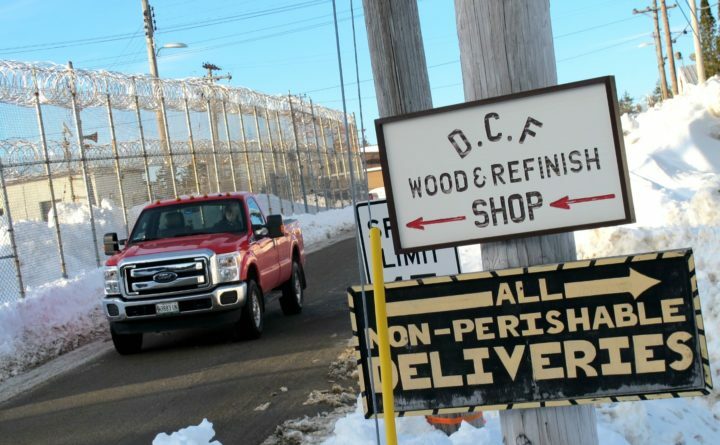 The proposal received a chilly reception from lawmakers who said LePage’s proposal, which would have a maximum of 20 beds for low-risk inmates in work-release programs, is much too small in scale, even compared with the now-shuttered work-release program at the prison. Sen. Joyce Maker, R-Calais, one of the lawmakers who has spearheaded the effort to maintain the prison, said Thursday that the court decision was great news for Washington County, though she was unsure what will happen next. LePage contends the prison is too costly and inefficient to continue operating. The prison costs about $5 million a year to operate and provides jobs and prison labor to the surrounding community. The Associated Press and BDN writer Michael Shepherd contributed to this report. Correction: An earlier version of this report misspelled Frank Moroney’s name.